NASA just announced that it’s given the Curiosity rover the power to fire its laser at targets of its choice. You fools, you’ve killed us all. The purpose of the laser is to zap rocks to analyze their chemical composition, and definitely not for the rover to slowly gain sentience and marshal a standing army of laser-bearing robots with which to reverse-colonize Earth. Why would you even think that? 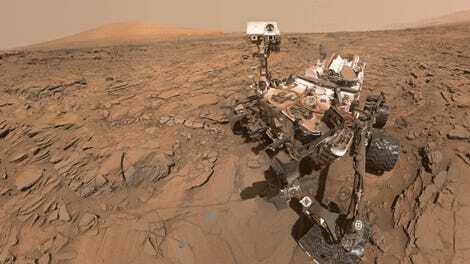 Previously, the process for these chemical analyses involved NASA scientists hand-selecting every site that Curiosity would analyze with its laser and triggering the command themselves. That will still be the way many of Curiosity’s laser targets are chosen. Following a software update the rover has new powers. When scientists and the rover are out of touch, Curiosity’s camera will continue to sweep the landscape for good analysis candidates. 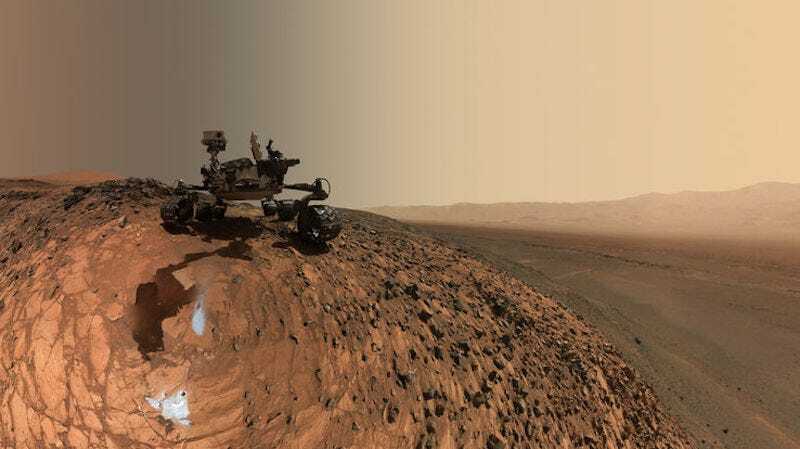 This means the rover can fire off a quick beam on its own if it comes across an unusual rock, a strange patch of soil, or the meddling scientists who trapped its metal body on a cold, dry Martian hellscape. Presumably, this update will also measurably increase Curiosity’s total output of rocks analyzed. So, in the meantime before Curiosity comes for us, we can at least enjoy some pretty cool science along the way.